I was really hoping that I could switch to Apple Music from Spotify. I really wanted this to work. Not because Spotify is bad, but because change can be fun (and because searching any song with Siri on my watch sounds pretty cool). I'm running the iOS 9 beta on my phone, so I downloaded the iOS 8.4 update on my iPad to check out Apple Music. Unfortunately, I don't see myself switching from Spotify anytime soon. I really tried to convince myself to give it a chance, but Apple Music is just simply awful to use. Everything I would want to do would either take forever or is simply not possible. 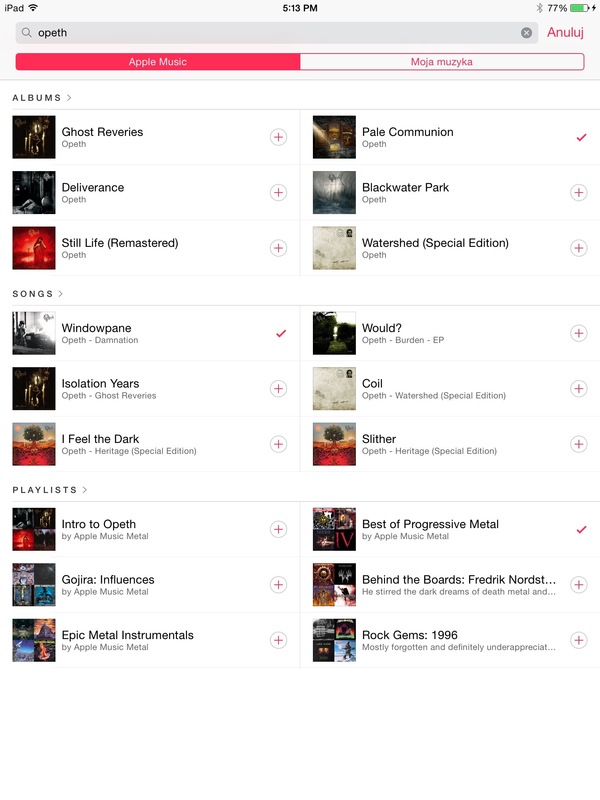 The first thing that Apple Music asks of you is to pick what categories of music you like. It presents some very generic genres ("pop", "rock", "oldies", "electronic", etc.) and asks you to tap once for kind of liking, tap twice for really liking, or tap and hold for disliking something. It's a cool interface, but it over-generalizes musical taste. What if, for instance, I really like Celtic and Symphonic Metal, but absolutely hate Death/Black Metal? What am I supposed to do with the "metal" bubble? After getting that out of the way, I ignored the "For You" tab because I figured that the only way that Apple Music will have an idea about my tastes is by making playlists and adding songs that I like. I wanted to do was set up a quick playlist with some metal, so I went to the playlists tab, and created a "Metal" playlist. Next, I pressed a button to add some music to the playlist, which presented a search screen. I searched for Opeth, one of my favorite metal bands, and clicked on the artist page, show below. I knew that I wanted all of the songs in the Pale Communion album, so I hit the plus button to add the tracks. However, I didn't want the entirety of another album. I wanted to pick by song. So I tapped the "SONGS" section header, which took me to the page shown below. I tried to add the song "Windowpane," but I tapped it and nothing happened. The triple dot menu by each song only had options to add the song to "My Music," play it next, or download it for offline use. 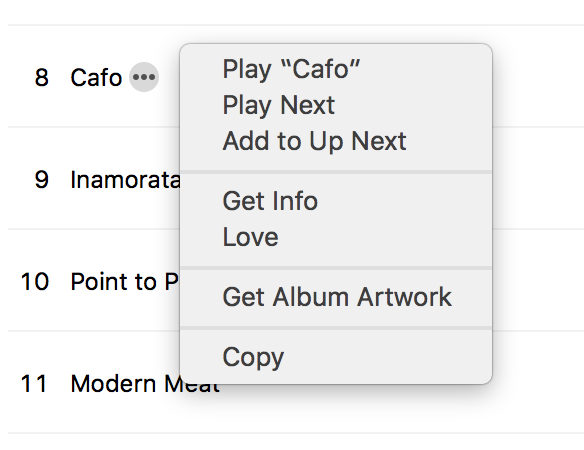 There's no option to add it to the playlist even though I am in the modal dialog of adding songs to a playlist. It seems as though this page is entirely broken. It's just a list of songs with giant cells and a lot of wasted space. I hit the back button and noticed the "Playlists" at the bottom of the page. I wanted to check out the "Best of Progressive Metal" playlist to see if I wanted to add any songs from it. So I tapped the title instead of the plus icon, expecting to get a list of songs in that playlist. Instead, it turns out that no matter where on the cell you tap, that item is added to your playlist. Best of all, there's no way to undo it. 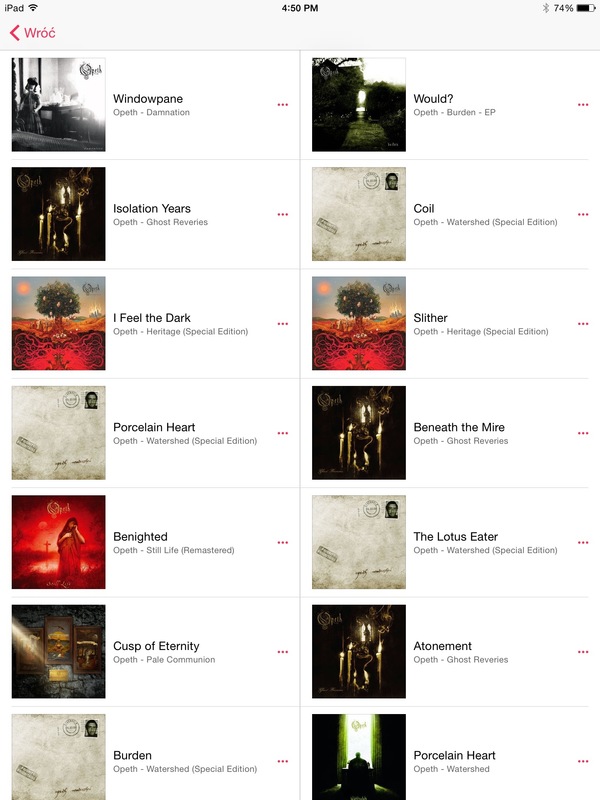 I tried tapping the "Best of Progressive Metal" cell again, but there was no way to deselect the playlist. My iPad is in Polish, but the button on the top right ("Anuluj") translates to "Cancel." I hoped that pressing this would cancel the changes I had made, forgetting the fact that it was the only button that could actually take me back to the playlist screen. Obviously, it did not cancel these changes, and it kept the playlist that I did not want added. I hoped that not being able to deselect something was a bug, so I opened the search again, and searched for Opeth again. There were no checkmarks next to the things that had been added. Out of curiosity, I added the album "Pale Communion" again to see if Apple Music realized that I had already added the album. After going back to the playlist screen, I scrolled to the bottom and saw that the songs had simply been added again. Wonderful. My next task was to delete all these songs that I didn't want in my playlist. Sadly, there is no way to delete multiple songs. For every song you want to delete, you have to tap the minus sign on the left, wait for the animation, and then tap the "delete" button on the right. On top of that, the table view didn't even account for the "now playing" bar in the bottom of the screen when automatically scrolling, so I had to scroll after deleting several times. After spending far too much time deleting all of the songs, I thought that I had finally handled that fiasco. I went over to the "My Music" tab only to find out that all of these songs had also been added to "My Music" and were still here. After a loud, audible, sigh, I got to work on trying to figure out how to delete things there. I tried swiping on the cells - no luck. I looked for an "edit" button, but there wasn't one. Next, I tried the triple dot menu. Ah, there it was ("Usuń z Mojej muzyki" = "Remove from My Music"). I tapped the menu option to delete the artist's work from "My Music," and was next faced with another pop-up menu that contained only the option that I had already pressed. I pressed it again, and finally, the song was gone. So, every song I had to delete required 4 taps, most of which had to wait on some kind of animation to finish. Just when I thought that it couldn't get worse than deleting the songs individually from the playlist, I found something literally twice as bad (4 taps vs 2 taps). On around the 8th song, one song didn't delete after I went through the 4-tap deletion process. It stayed there. Thinking nothing of it, I continued on through the land of tedious deletion, wondering why I had nothing better to do. Eventually, I was left with only Opeth and "King X." I swear I tried going through the 4-tap deletion process around 30 times, and the song wouldn't go away. It was around here that I started wishing that iTunes 12.2 with Apple Music support would be released. 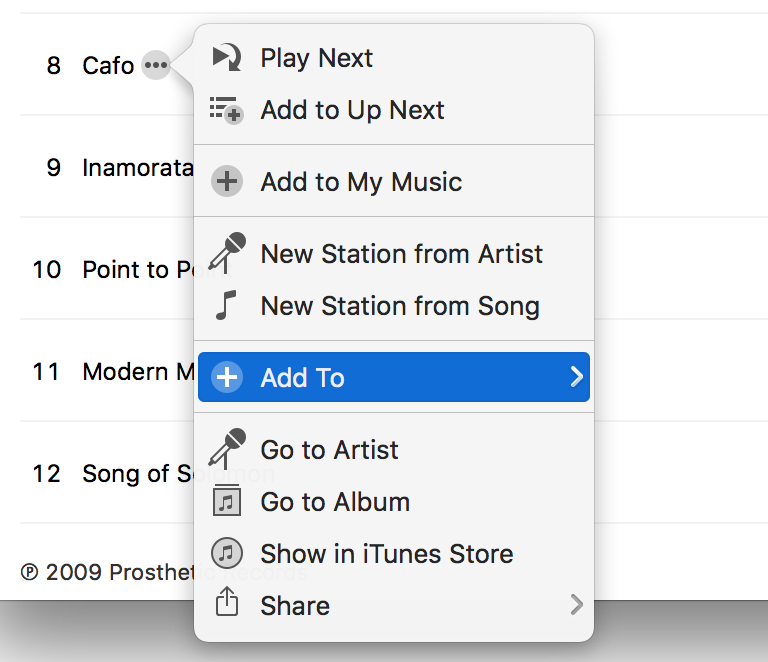 Surely, with a desktop interface, I could handle simple tasks like playlist and music management with far more ease. My gut reaction was to remove the app and reinstall it because maybe this was caused by some kind of local caching issue, but alas, you can't remove "default" apps from iOS. I tried restarting instead, just to make sure I've covered my bases, but "King X" was still there, and still undeletable. I can't tell you enough how much this bothered me. I couldn't do anything until I got rid of that (note: this story does not have a happy ending - that song is still on my iPad, and still undeletable). So I waited until iTunes 12.2 came out. Once I finally got wind on the Twitterverse that iTunes 12.2 was available in the Mac App Store, I was quick to download it. "Finally, I can delete that pesky song and create maybe a single decent playlist," I thought. I hoped. After installing iTunes, the only thing that was available to me was Apple Music's "Connect" and the Beats1 station. I turned on the Beats1 station to see if it was any good, heard some rap music, and then very very quickly turned that station off. Fortunately, that much worked. I looked at the "My Music" tab, but all I saw were voice recordings from my iPhone. The "Playlists" tab had no sign of the playlist that I had made. After restarting iTunes and later restarting my Macbook, I let out another sigh as nothing new appeared in iTunes that would indicate any sign of my journey through the iPad's Apple Music UI wasteland. After venting a bit on Twitter, I finally found my solution in iTunes' preferences screen. 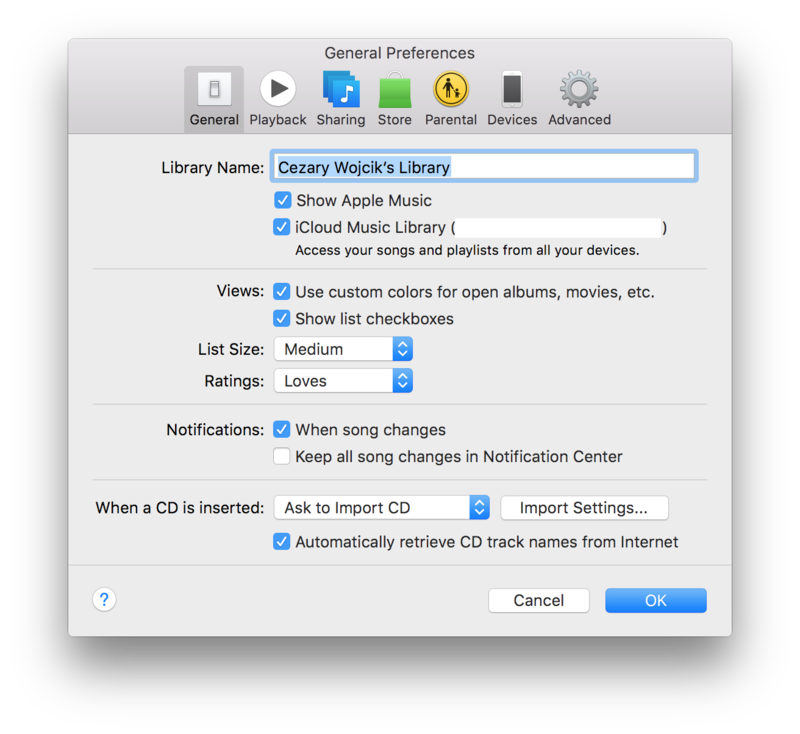 There were options to "Show Apple Music" and use the "iCloud Music Library," both of which were unchecked, for some reason. 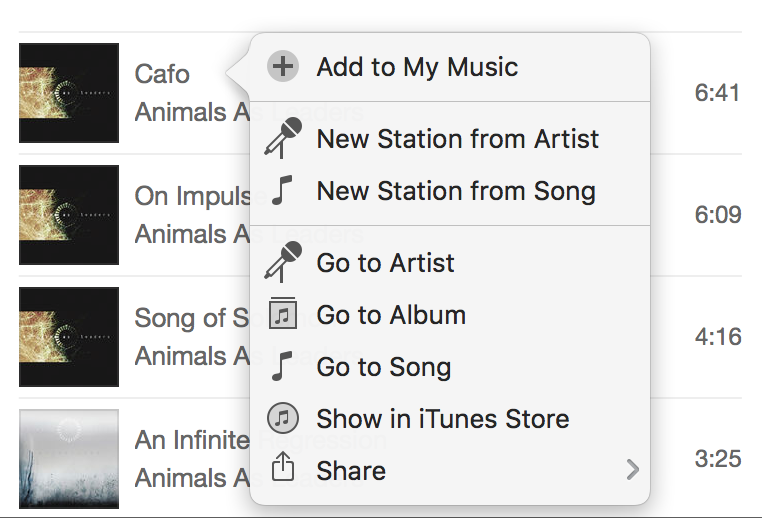 I checked the options, and after only a few server errors when trying to log in to my iTunes account, my copy of iTunes finally showed the "For You," and "New" tabs that I had seen screenshots of. My playlist finally showed up in the "Playlists" section. The song that I had spent so long trying to delete was nowhere to be seen in the "My Music" tab, though it still persists on my iPad. I started thinking about how I'm supposed to add songs to a playlist. In Spotify, the list of playlists constantly stays on the left so that I can easily search for songs and simply drag them into the playlists. Wondering what would happen, I searched for "Animals as Leaders." 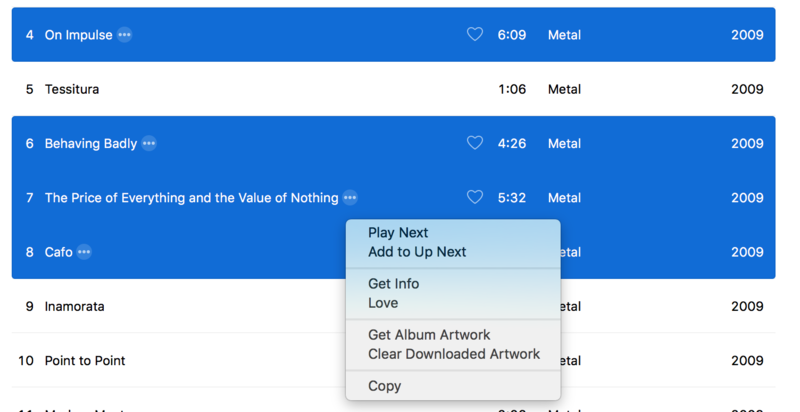 Turns out that the search pop-up has an option to search either through your library or through "Apple Music." 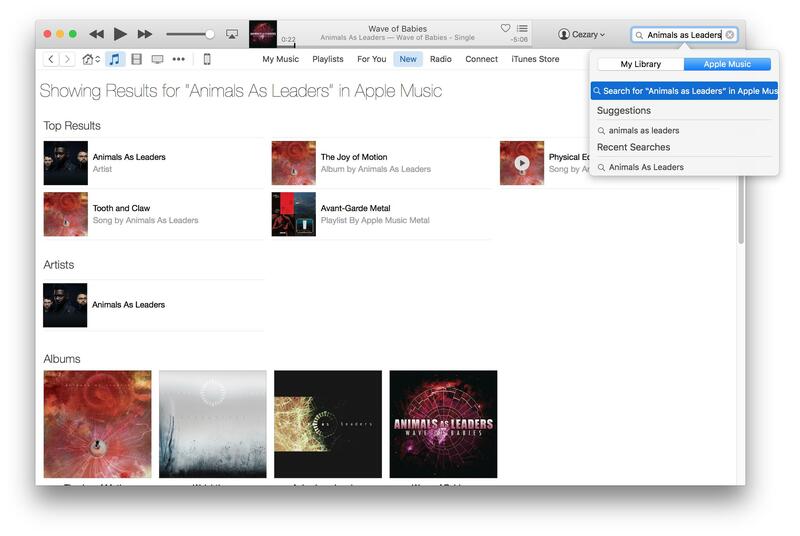 It defaults to your library every time you click the search box, so you have to take an extra step to click "Apple Music" in the actually pretty ugly search dialog every time you want to search. Sure, whatever, just get me to the songs. I clicked on the "Animals As Leaders" artist page, and quickly found my favorite song of theirs, "CAFO." I was eager to add it to my playlist, so I right clicked the song cell. Nothing happened. No options of any sort. So I clicked the triple dot menu, hoping that there would be an option to add the song to my playlist. Of course, there was no such option. Relentless in my dutiful goal as an Apple fanboy to like Apple Music, I pressed onwards and went into the album page instead. Lo and behold, when I clicked the triple dot menu here, there was an option called "Add To." I hovered my mouse above the option, waiting for the list of playlists I can choose from to show up. Nothing happened. So I clicked. Eureka! I'm not sure why anyone at Apple thought that it was a good idea to make the menus behave as if they were in an iOS app. The only explanation that comes to mind is that there wasn't actually any thinking involved. I'm getting pretty salty; I apologize. I soon found another twist in the puzzle. Right clicking had done nothing in the previous screen, but apparently consistency isn't something I can expect here, so I tried right clicking. Lo and behold, a menu popped up! Of course, expecting this menu to have some kind of "Add To" option would be a little much. I began to wonder, then, how I am supposed to add multiple songs to a playlist at the same time. In Spotify, I can just CTRL-select multiple songs and then drag them all into a playlist on the left. So I selected multiple songs and right clicked again. I don't really know what I expected. Each individual triple dot menu only adds that particular song. I tried the "Copy" option, hoping that I could paste songs into a playlist, which also works in Spotify. No such luck. 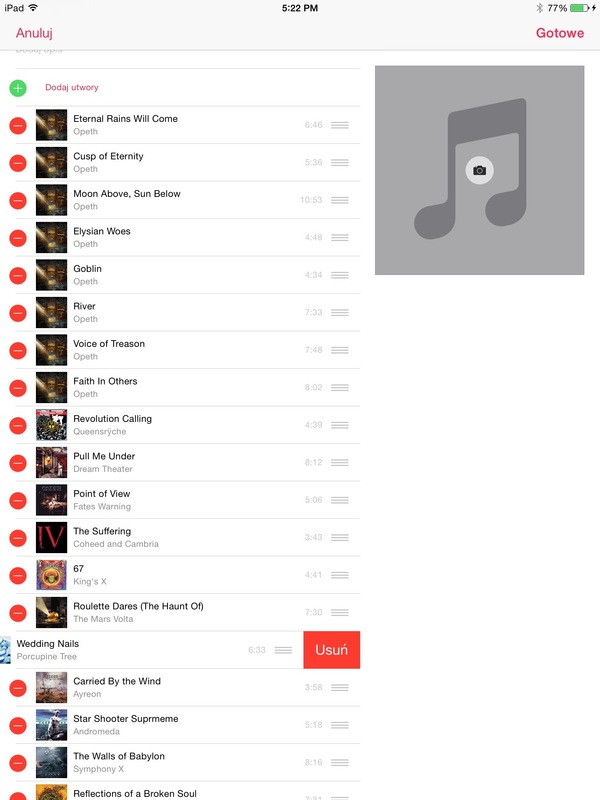 Apple Music has some pretty interfaces, but at least in terms of setting up playlists, it is absolutely abysmal. Just flat out awful and near unusable. I really wanted Apple Music to win me over, but it only made me realize how nice of an app Spotify has both on desktop and on iOS. UPDATE: Yes, this post is a bit overdramatic and focuses only on making playlists. Yes, there are lots of things that Apple Music probably does well. I just wanted to make my own playlists, and I became very annoyed with how poorly Apple Music currently supports that. A more appropriate title, maybe, would be "Apple Music was a Usability Nightmare for me," because I ran into issues and roadblocks every step of the way. As Apple makes updates to the iOS app and iTunes, I will definitely check the updates out. Right now, however, it's not worth my time to go through tedious clicks over and over just to get to the same point that I'm already at with Spotify.